On our summer coffee chat for 2016, we welcome Joe Taylor! Joe is a blogger for Coffee With Kenobi, an original member of Geeks Helping Geeks (GHG), and all around great guy. Joe has been featured on a few episodes of Rebels Reactions, and has been a longtime Patreon supporter of our show. As with all of our Coffee Chat winners, Joe gets to pick the topic, as well as to lead the discussion, and has chosen how Star Wars fans help out one another. 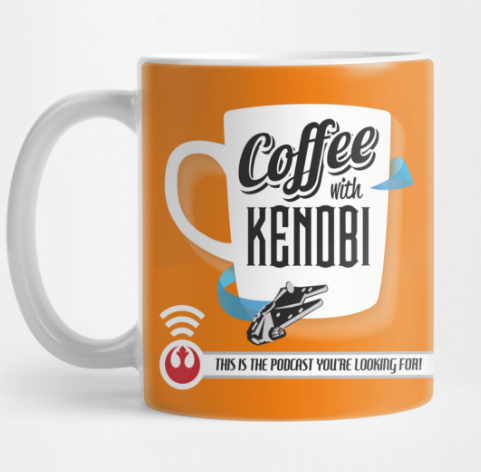 He has some powerful stories to share that you won’t forget, and is the third winner of our Coffee With Kenobi Patreon Coffee Chat. This is the podcast you’re looking for!